Mentoring young Minds through Chess. Mind Mentorz arrives as one of the best chess coaching classes in Bangalore. With one of the best chess instructors on board, Mind Mentorz is one of the best places to learn chess in Bangalore. Through chess classes and lessons, we help your kids learn the most essential life skills such as communication, strategic planning, lateral thinking, problem solving, critical thinking and more. And the best part is the transformation within your kid is evident in a few weeks. 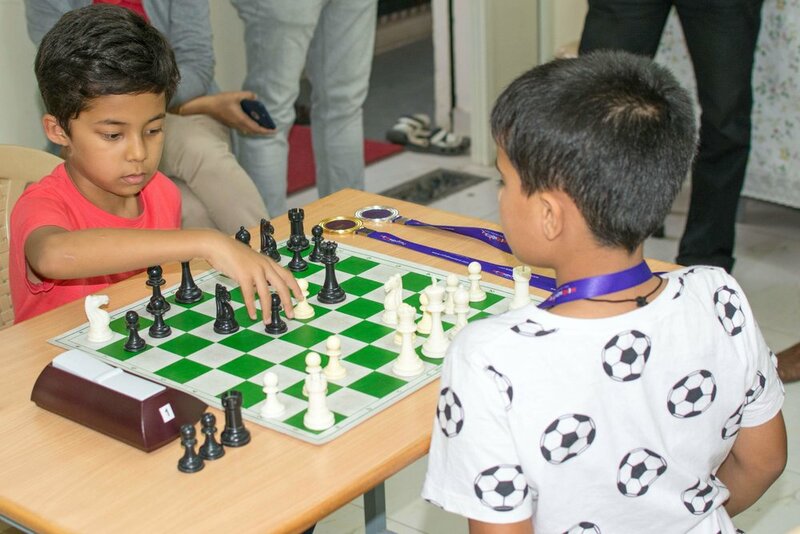 Apart from being an ideal chess coaching centre in Bangalore, Mind Mentorz is also the perfect afterschool centre. Besides chess, we offer coding classes for your kids, robotics lessons, Rubik's Cube and more for a holistic personality development of your kid. Enrol your kid today and see them develop cognitive skills like never before. Join for a FREE Demo! Interested in a Chess class, Rubik’s Cube, or Robotics? Much more than just a skill. Mind Mentorz goes beyond just learning a skill – it's an investment to your child's full potential. More than the learning outcomes of Chess, Coding, & Rubik's, we teach life lessons through these programs. Our students have gone as far as to become tournament champions, as well as a passion filled individuals that have transferred these learned skills into other areas in their everyday lives to help them reach their personal goals! FIDE Rated Chess Instructors that have 5+ years coaching experience with children. Chess helps you to improve your cognitive thinking skills and apply the learned skills in your every day activities. We've have created courses for beginners, intermediate, and advanced players with a comprehensive study plan over 40 weeks! Enroll here if you're interested to learn chess the right way! Coding that's child's play. Scratch Coding is a complete learning experience for kids to learn how to code, through its unique, child-friendly, coding platform and a certified network of highly educated, home teachers. Enroll here if you're interested to learn code. The curriculum for Scratch Coding is a structured study plan that allows a child to progress on the fundamentals & basics. Sometimes, you just can’t get the right exposure for your kid when it comes to Robotics. This could be because of lack of availability of required devices, your experience and expertise in Robotics or just lack of time. That’s why Mind Mentorz Robotics Programs are best to introduce STEM concepts to your kids. Our Robotics courses are around LEGO MindStorms EV3, Dash & Dot and Edison Robot. Chesskid.com is the world’s #1 Chess site for kids! The website has learning tools to keep kids motivated to learn and improve their Chess skills. At Mind Mentorz, we assign kids with a Chesskid account! Mentoring children with life skills. At Mind Mentorz, we help children succeed through our programs. We are here to unlock the potential of every child and ger them towards a brighter future. Since inception, we've trained over innumerable number of kids in our programs creating passionate youngsters who have taken their learned skill, all the way to the tournament level!